2Country4Nashville is 100% real Country Music – The Traditional Honky Tonk kind of Country Music. Jo-el & LeAnne are bringing back great songs that tell a story, great vocals and harmonies that can deliver those stories, and twangy guitars to drive them home. The way real Country Music used to be and will be again!! 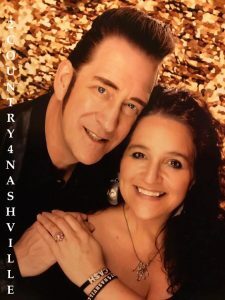 Jo-el & LeAnne Ulmer, the husband/wife duo known as “2Country4Nashville.” sing all your favorite traditional country music hits made famous by legends like Johnny Cash, Waylon Jennings, Patsy Cline, Roy Orbison, Buck Owens, and Conway and Loretta, just to name a few. And Jo-el’s voice can sound amazingly just like his legendary and living heroes of country music. Jo-el lives and breathes music, and his passion is paying off after he and wife, LeAnne, a now retired Franklin schoolteacher of 25 years, decided to get him off the road as a truck driver and give him have a chance to sing and play for his supper! Whether they’re fronting the whole band, 2Country4Nashville, or singing as a duo, their energy on stage is contagious! Singing the songs of the great country legends themselves (and sounding like them too!). 2Country4Nashville is bringing back real Legendary Country Music.